Recipients will be revealed at next February's New York Game Awards. There will be an extra reason to celebrate next February when the 5th Annual New York Game Awards are held at Villain in Brooklyn. The winner(s) of an inaugural scholarship program will also be revealed, chosen by the New York Videogame Critics Circle membership. The scholarship will be presented in conjunction with The DreamYard Preparatory High School, a vibrant Bronx school which provides a rigorous arts integrated curriculum that emphasizes problem solving and critical thinking while deepening students’ understanding of all subject areas. Entrants are being asked to submit a videogame story that differs as much as possible from the usual norm. 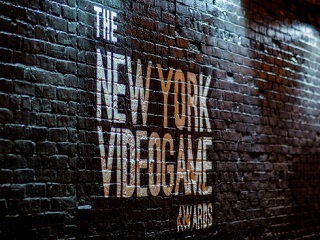 The Feb. 9 New York Game Awards will be live-streamed on Twitch, which is also co-sponsoring the scholarship along with Green Man Gaming in the U.K. and others to be announced shortly. Good luck to all entrants!